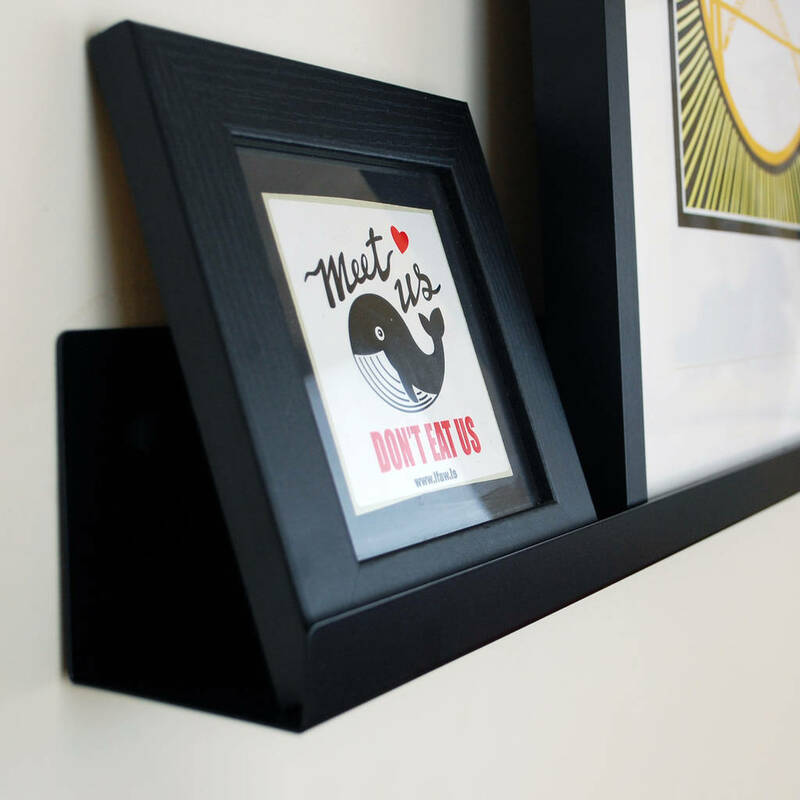 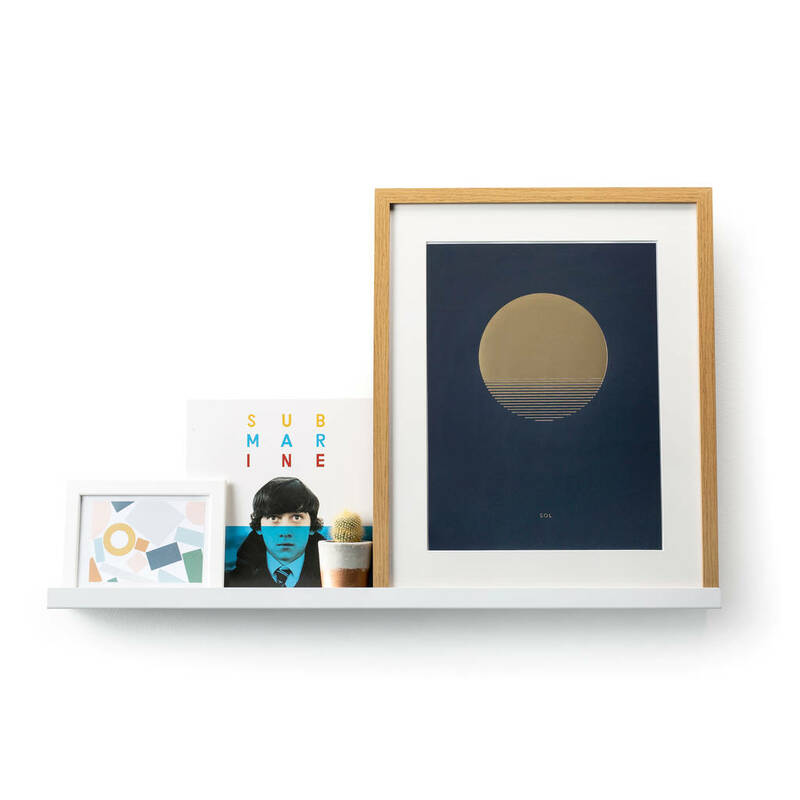 Showcase your artwork and trinkets in a beautiful way with this minimal shelving picture ledge. 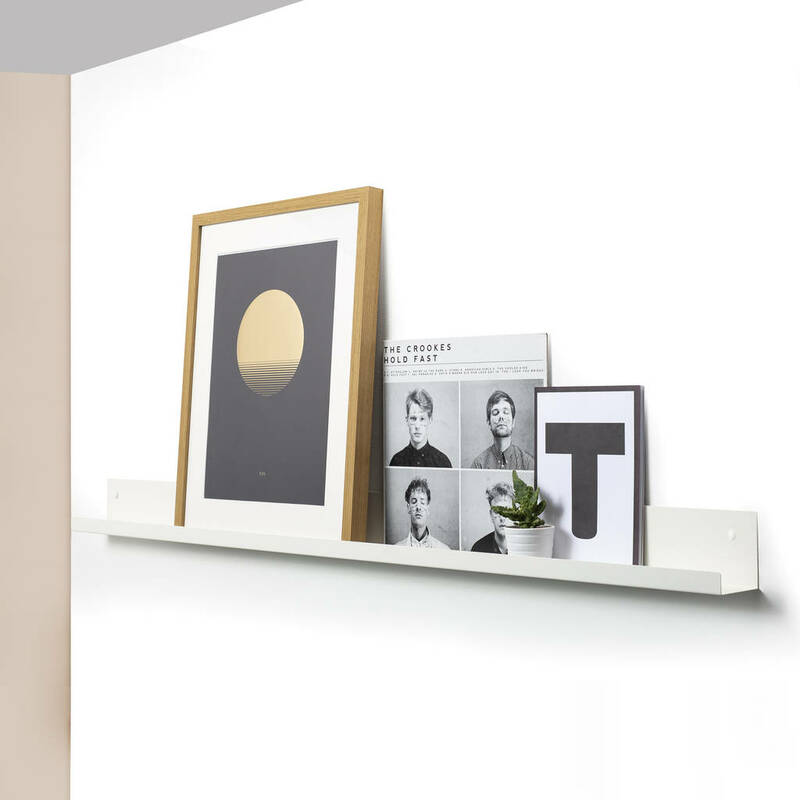 The Magpie shelving series is a modern & minimal shelving solution designed to help showcase the objects & artwork that make a house your home. 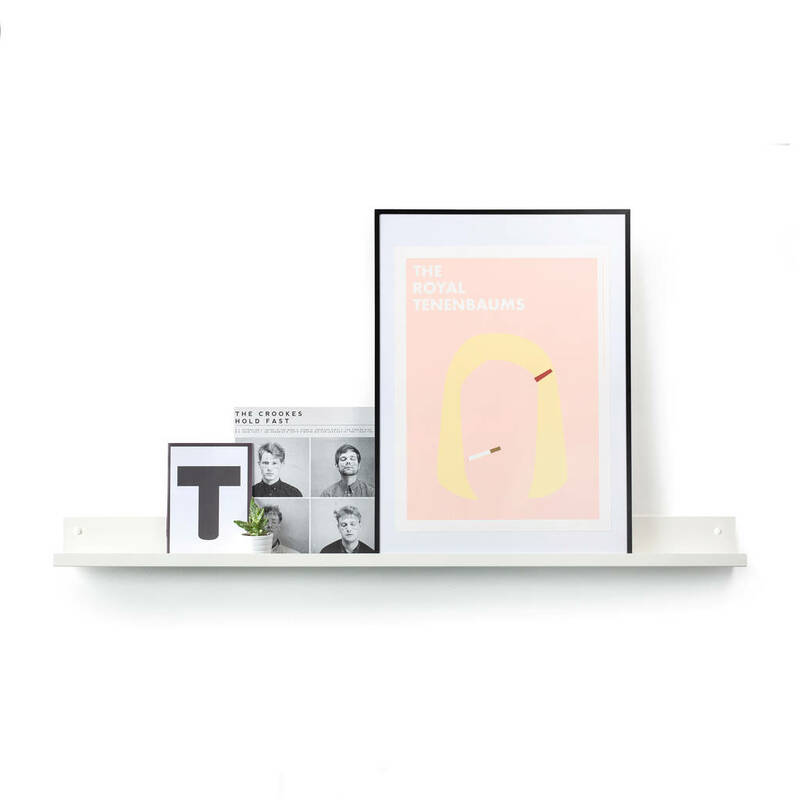 These shelves are designed with a small lip at the front that mean, as well as functioning as a standard piece of shelving, they can also be used as a picture ledge to display framed artwork in a modern & professional way. 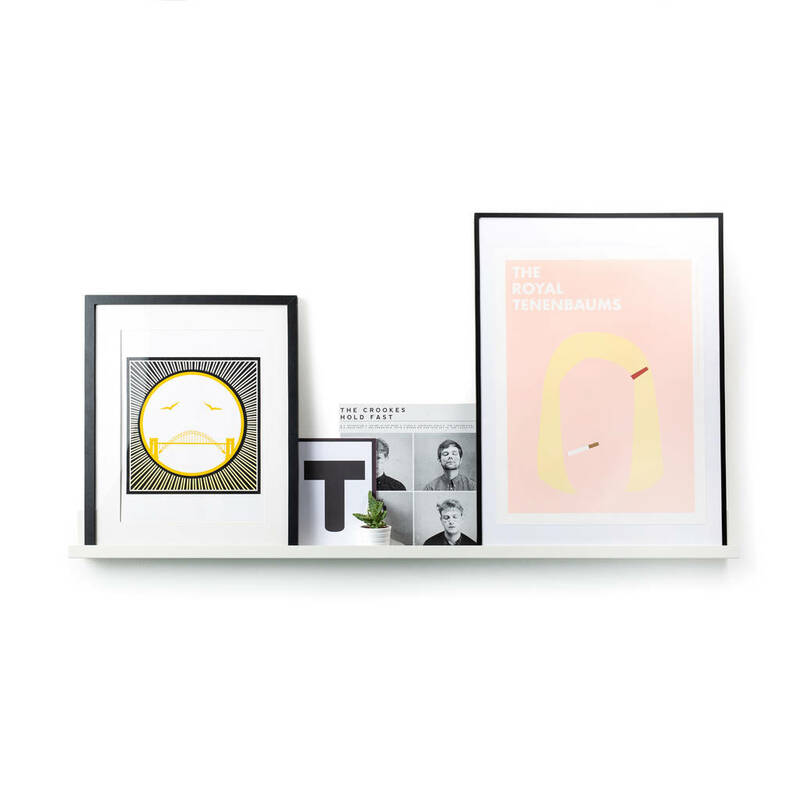 The Magpie shelving series can display most photo frames up to 70cm & is the perfect addition to any design conscious interior space. 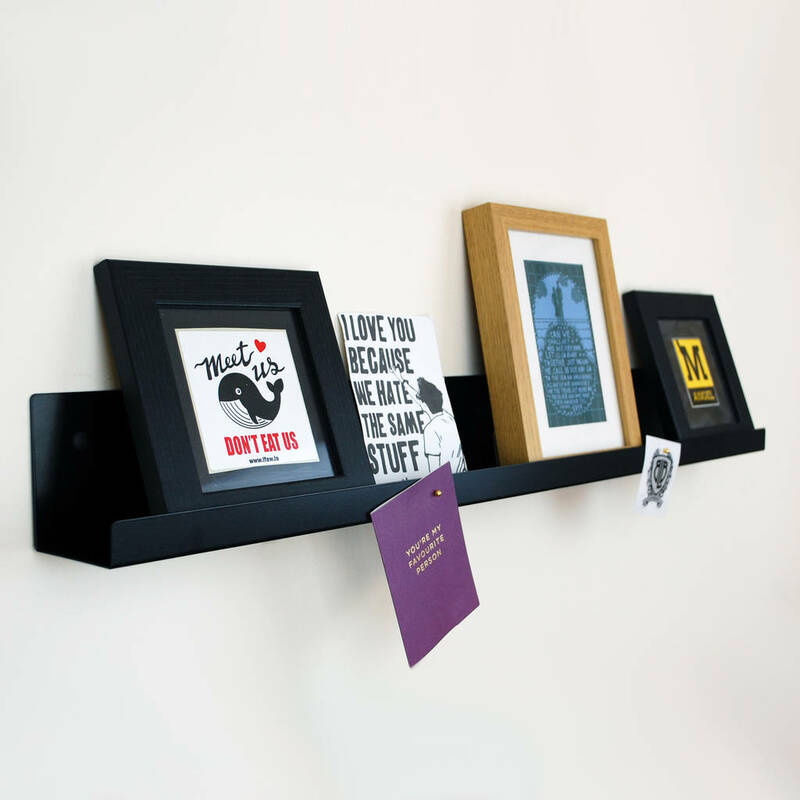 The Magpie shelving picture ledge is available in Black or White. 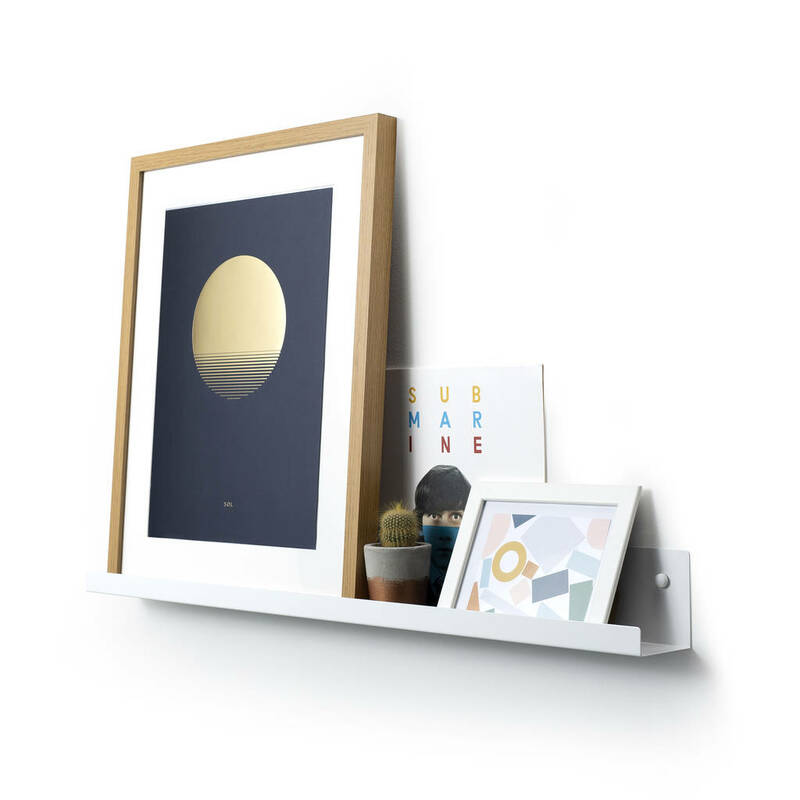 The shelving is also available in 2 sizes. The Magpie shelving picture ledge is manufactured in Sheffield from steel. 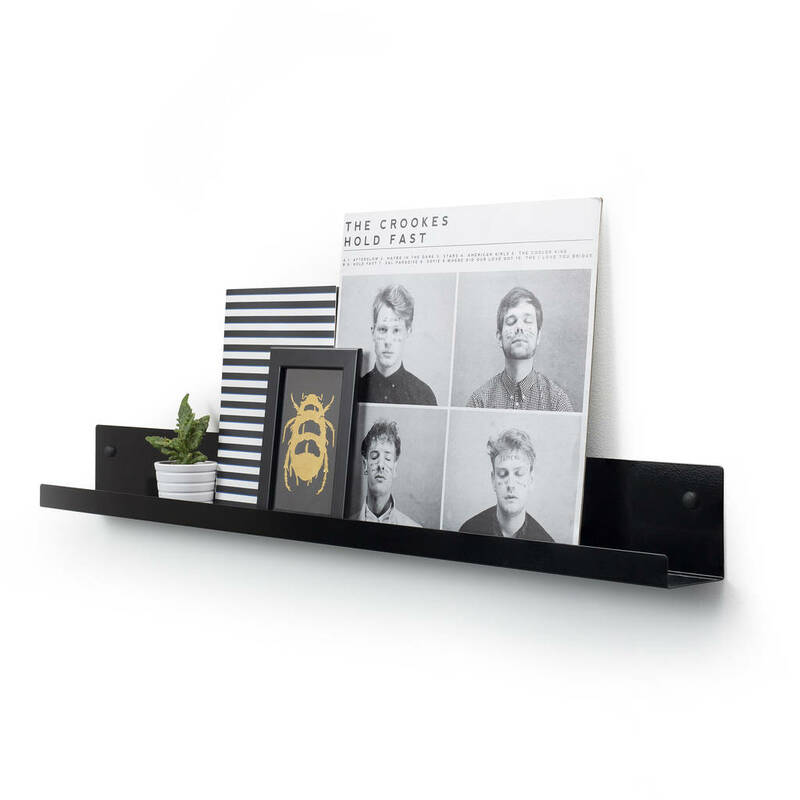 Each shelf is powdercoated and comes with screws and screw caps for a clean & minimal finish. 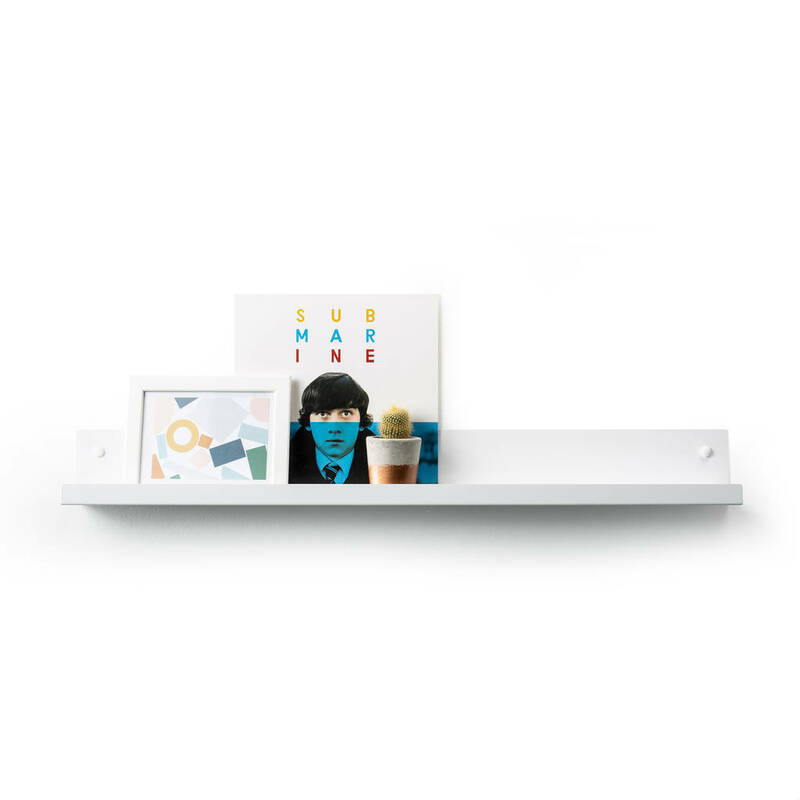 Standard shelf: H9cm x W85cm x D7.5cm. 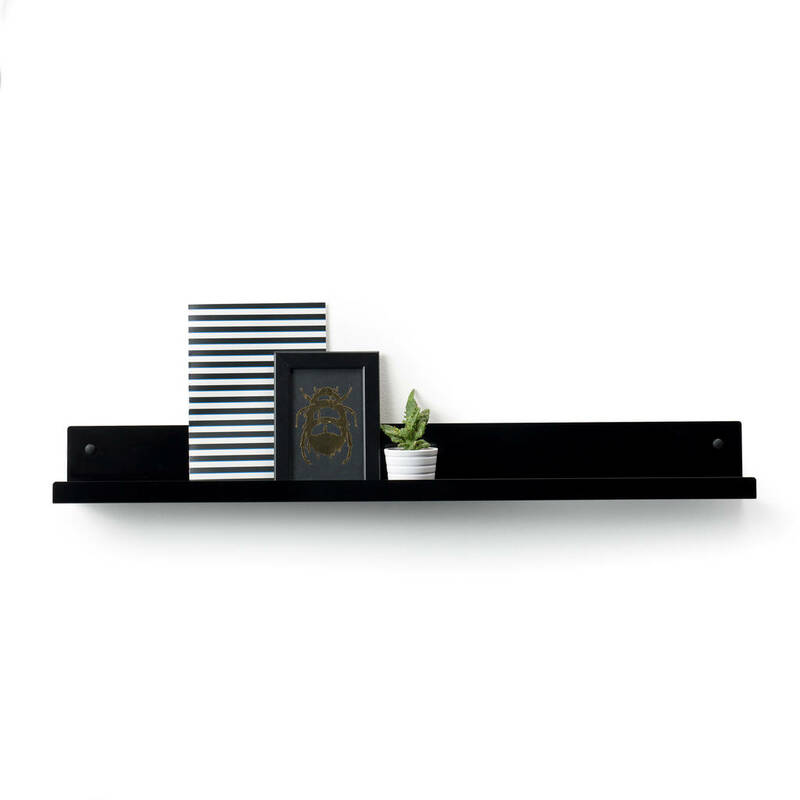 Large shelf: H9cm x W137cm x D7.5cm. 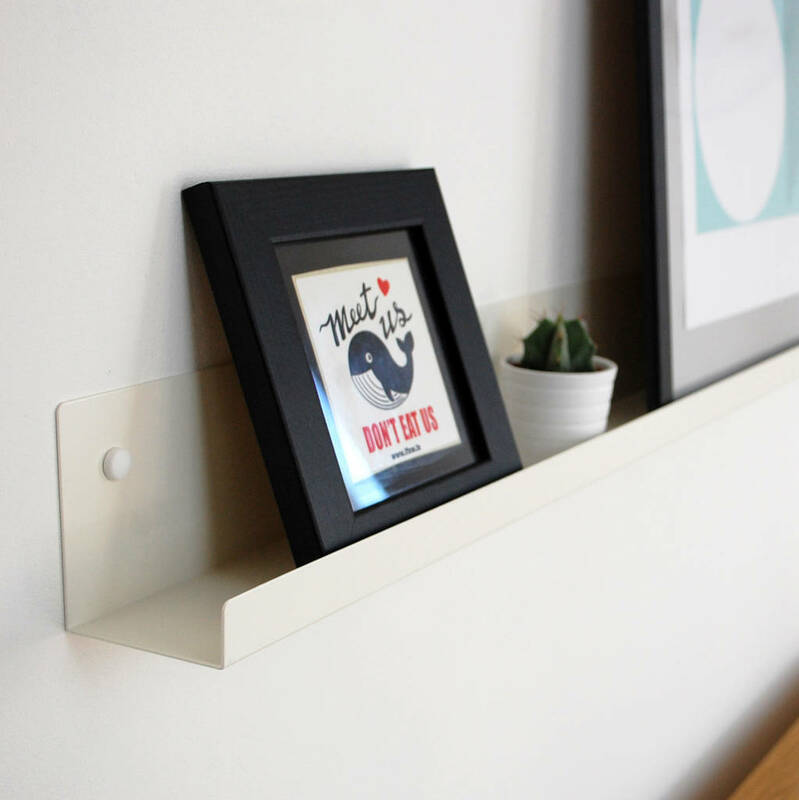 This product is dispatched to you by Psalt Design.